Scopes for AR-15 Rifles: Looking for AR-15 Optics Recommendations? Scopes for AR-15 Rifles: What should I do? There are hundreds of different options when looking for the right AR-15 optics. Being confused about what to choose is common, and is completely normal. There really isn’t one best option, despite the existence of many AR-15 optics recommendations. Choosing the right optics is about deciding which is best for your specific uses. These options are based on many different criteria, offering different optimum ranges and clarity of visibility. Scopes are used to improve the ability to see a distant target, one that is too far away to be easily seen by the naked eye. By adding a scope an individual can see the distance more easily, making it far easier to see the target, and consequently to reach the target. It is important when looking for a scope for an AR-15 rifle to consider every aspect of the scope, and consider what it will be used for. Different scopes excel in different ranges, offering better visibility up to certain ranges. Some models are only effective up to a few yards while others are effective up to a few hundred yards. The choice of which model to purchase depends highly on the type of shooting that will be done, and the range that needs to be seen. Different kinds of shooting, and different targeting distances, require different tools. Different scopes are simply different tools. Finding the correct tool is a matter of knowing what tool is necessary. Being aware of the range in which shooting will occur is a large part of choosing the best scope to use. When looking to do close-range shooting, the most common type of optics are close-range, non-magnified red dot sights. 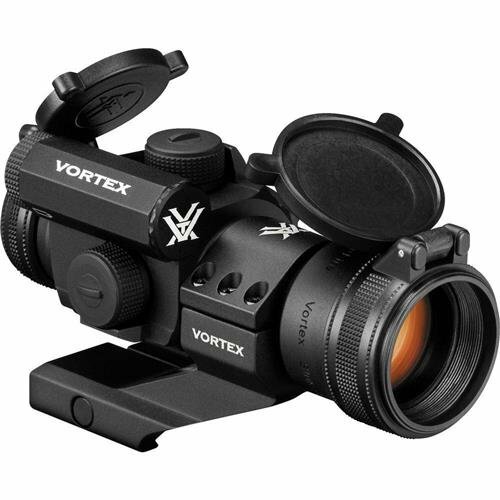 With a red dot sight the purpose is for shooting at 100 yards or less, and allow for both eyes open while shooting by being reduced-parallax or parallax-free. Usually these sights are used to quickly acquire a target, making it easier to line up the shot. They are, obviously, most effect with close-range shots, but can be extended by the addition of a magnifier as well as the red dot sight. Red dot sights are most appropriate for any shooting within 100 yards, close range shots that don’t require magnification. Mid-range optics are usually cheaper models that are used for low-power magnification. They feature aiming points for distant targets and are optimized for up to about 400 yards. They are typically fixed power magnification in the 1x-4x range. They are not designed for close-range use, or for long-range use, but work very well for areas in between. They are mainly used for increasing target acquisition speed, such as a red dot sight. However, they offer more distance capabilities. 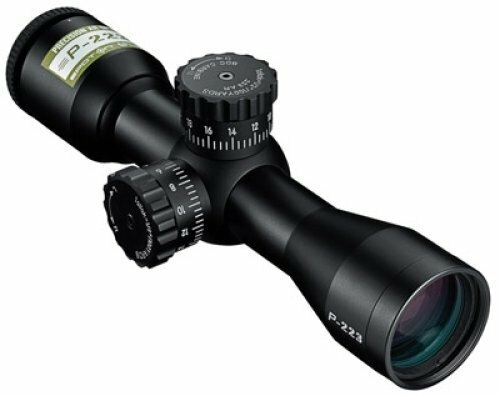 Long range optics allow the ability to magnify at a much higher level, with a maximum magnification of anywhere from 9x to 16x. Due to this they allow the capability to engage a small target at a large, extended range. They are designed for long-range use, extreme accuracy at long distances. However, with the help of a long-range scope, they can still be useful for mid-range distances by turning the magnification down to the minimum power, usually 3x or 4x. Another factor of choosing the right optics can be the price. When looking at AR-15 optics recommendations it is important to have a price range in mind, as optics vary greatly in price. Some models are available for around $100, while others can be as expensive as several thousand dollars. Knowing what you can afford is an important part of choosing the right optics to meet your needs. Yet another factor in deciding the best scope is what target will be hit. There is a difference when looking to shoot deer or other moving objects, or looking to shoot at an immobile target. When deciding which scope is the best, it is important to factor in what the target will be. Different scopes offer different benefits to targeting, making it important to know exactly what the scope will be used for when making the decision of what scope to buy. Scopes for AR-15 rifles vary widely in their optimum ranges, price ranges, and ideal targets. It’s important to look into many different models in order to find the best scope for an individual’s needs. Many companies produce excellent rifle scopes, offering an excellent opportunity to find the exact product you need, for the shooting you want to get done. Using an AR-15 becomes far easier with the assistance of the right optics equipment. Choosing that equipment is a matter of knowing what your needs are and choosing the best optics equipment for those needs. There are hundreds of different models produced by different companies, from close-range optics to long-range optics, with many different magnifications, options, and features. It is important to know what you want when you go looking for optics equipment, so you can make the choice that will fit your needs. There is a scope for every level of shooting, whether that be shooting at a stationary target a few yards away, or shooting a deer a few hundred yards away.